Both Kazakhstani and Russian geologists for the first time publicly declared their non-agreement with the recent modern slogan that the future of oil production of Kazakhstan is connected only with the Caspian shelf. They reckon on discovery of several more Tengiz Shelves onshore. National company KazMunayGas is expecting in the nearest five years to hold a large volume of geological prospecting works. 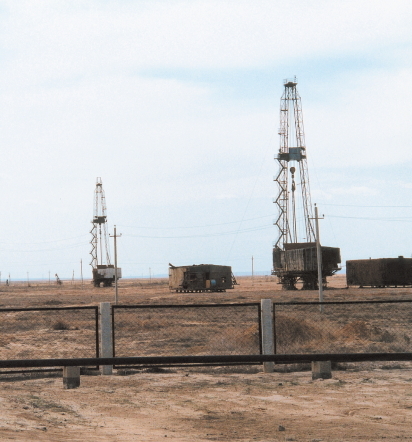 Having received not less than 7 contracts for exploration in the Atyrau, Aktyubinsk and Mangistau oblasts, it is planned to drill 435 prospecting development wells, spending more than 500 billion USD. According to the plans of strategy development, KMG plans by 2022 to raise the volume of oil-residual recoverable resources up to 1.4 billion tons. Today this indicator shows 800 million. 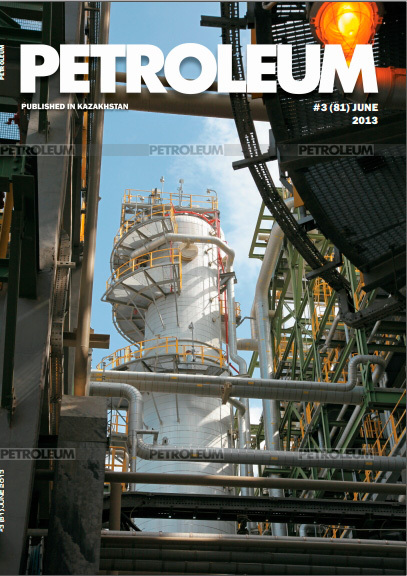 According to the words of the deputy chairman of the management board KMG Kurmangazy Iskaziyev, in the nearest 5-10 years the dynamics of oil production development in the Republic of Kazakhstan will be associated with large projects: Karachaganak (taking into account the third development phase), Tengiz (taking into account the project of future expansion) and Kashagan. It should be drilled deeper! But not only. Geologists decided to search for oil at a depth below 5 thousand meters. Kurmangazy Iskaziyev announced about it at the geological conference AtyrauGeo in the beginning of April. By the results of earlier works, geologists of the company came to the conclusion that the main prospective course of geological exploration is deep subsalt deposits of the Pre-Caspian basin, and by Mangistau – the lower Triassic Paleozoic deposits. Drilling is expected to be held in the Aktyubinskaya and Atyrauskaya oblasts and near the Uzen deposit (only successful drilling in the Uzen deposit area can save the last year’s revolting Zhanaozen, with a population of more than 120 thousand people, from overpopulation.). NC KazMunayGas within the framework of expanding the geography of geological prospecting works fulfilled a very large volume of exploration geophysics, including aeromagnetic measurements of the Pre-Caspian basin. Works continued for two years, good results were received; now materials are being processed. In addition, works on integration of seismic data on post-salt and subsalt deposits of the Pre-Caspian basin were held. All these works were the basis of the project “Complex survey of sedimentary basins of the Republic of Kazakhstan (15 sedimentary basins)”, which is now preliminarily defended in the Committee of geology. This work requires improvements; however results show big prospectivity of deep subsalt deposits of the Pre-Caspian basin. It is the same situation with the Mangyshlar, South-turgay, Northturgay, Priirtyshsk basins.